Instagram has quietly started testing a horizontal feed for some users. This is a major departure from the vertical user experience that has been the norm since launching the app. The company had previously tested the feature in October, but it seems to be more popular with users today. The new feed turns all posts into a single, huge Instagram story, taped to advance and a scroll bar at the top to show you how far you've progressed. For Instagram community, which has got used to the old feeds, this is certainly a terrible change. The horizontal feed shows every photo (and every ad) in the spotlight at any one time. You can only view a single post. The comments are now much more prominent and appear with an upward-facing image. It's also much harder to quickly scan the feed with the new layout: you can only advance one item at a time. Another side effect of the new layout is that it's easier to access stories because the bar is now always available by dragging down rather than having to scroll to the top of your feed. To run the main feed, tap the individual profile of a user, and things are displayed as they appear in the usual style of vertical scrolling. 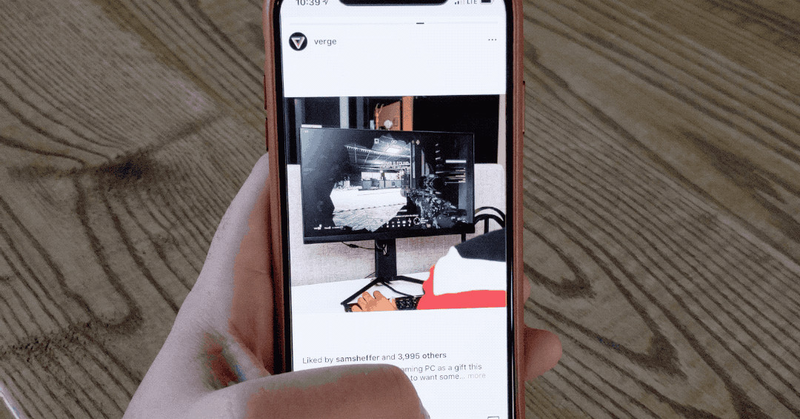 It seems the introduction of the new feed could have been an Instagram accident: just minutes after the horizontal feed went live, the old-fashioned vertical feed seems to have reappeared for most users of the horizontal scrolling See test. Although today's update was a coincidence, Instagram seems to take the horizontal feed seriously – and it will not be long before it is finally transferred to the devices. Update December 27, 10:55 am: Instagram seems to have switched users back to the vertical feed.